A state attorney in Vermont is looking to wipe away misdemeanor crimes dealing involving marijuana. "Any time that someone has a conviction on their record of something that is now legal, it should be expunged," George said. Early this year, Gov. Phil Scott (R-Vermont) authorized new state rules on recreational marijuana. Starting July 1, people 21 and up can legally possess an ounce of pot in Vermont, as well as grow a few plants for personal use. Selling marijuana will remain illegal for now, though some lawmakers have proposed a tax-and-regulate system of authorized marijuana retail businesses. That concept is likely to be revisited in the Vermont Legislature next year. Gov. Scott chose to not sign the legislation in front of news cameras, explaining he didn't want to appear to be celebrating the legalization. "There's many people on both sides of the fence," Scott said on Jan. 18, ahead of signing the legislation. "Both very happy about it, and some who are very displeased as well. I recognize that and want to respect that some don't feel this is a momentous occasion — but the main thing is, I will sign it." George said Thursday that as states change marijuana enforcement policies, more prosecutors should be open to erasing old crimes. "This is what's coming," George said of greater societal acceptance of marijuana use and how she believes prosecutors should respond to it. "This might be coming in their state eventually, whether they know it or not. So it's something they need to start talking about now." George was clear she'd expunge only misdemeanors, mostly pot possession cases — not more serious felonies. The willingness by the Chittenden County State’s Attorney’s Office to erase old convictions was first reported by the Huffington Post. "I hope prosecutors across the country follow Sarah George's lead," said Tom Dalton, who heads the group Vermonters for Criminal Justice Reform. Dalton said some people with past convictions for marijuana charges view the offenses as stains on their character which they don't feel reflects who they are today. In other cases, Dalton said convictions have serious tangible impacts on lives. 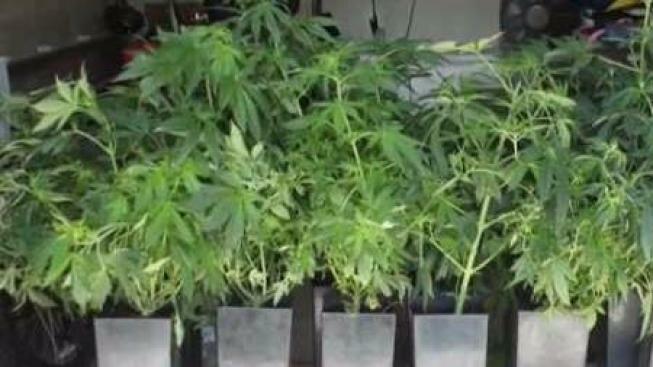 "When people have even a minor conviction for marijuana, it can prevent them from getting student loans, from getting a mortgage—from getting a job," Dalton told necn. "And that hurts them. It hurts their children, it hurts their families, and it hurts the entire community." George said there is no timeline in place yet for her move, but she anticipates it will come in the near future. The lead Chittenden County prosecutor noted people will have to formally request that their old convictions be cleared.